Research has begun on the second edition of New Solutions for House Museums: Ensuring the Long-Term Preservation of America’s Historic Houses. This quarter, we are working on updates for the dozen case studies by learning what has changed (or not) since these sites were last profiled in the 2007 publication. It has been a joy to reconnect with these historic sites to hear their ongoing stories. The new edition will include a chapter about diversity and inclusion at historic sites, as well as an updated chapter on legal and ethical issues related to creating new uses for historic sites. We will be preparing five new case studies to add to the volume. If you have suggestions for case studies, please contact us directly donna@heritageconsultinginc.com. 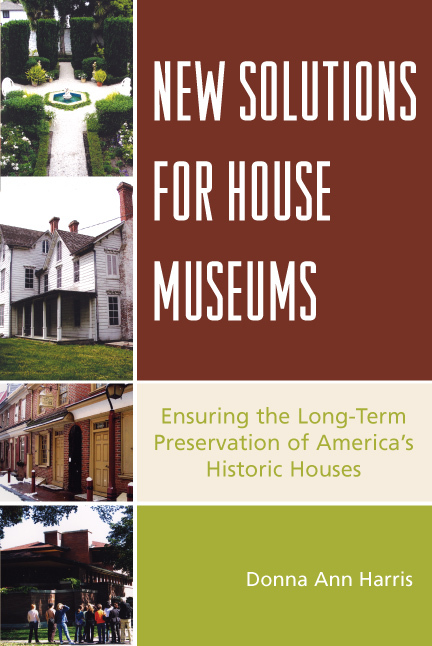 According to the publisher, New Solutions for House Museums has been the best-selling book in the AASLH series since its publication.